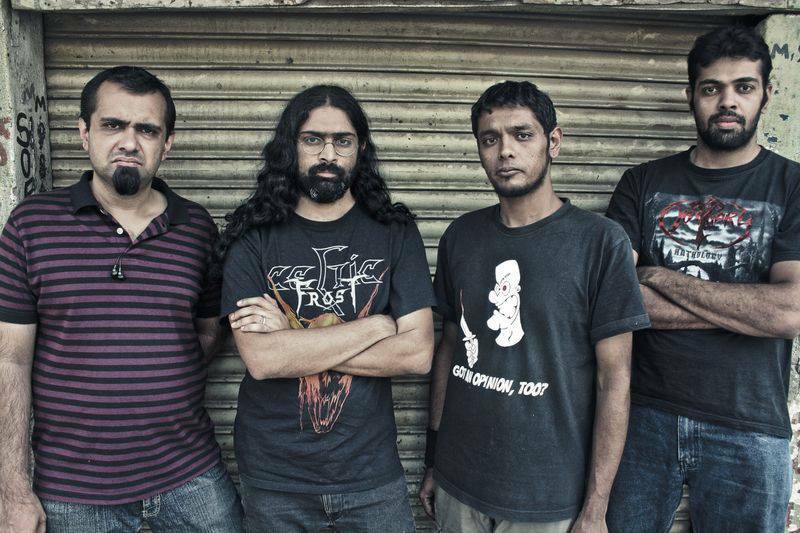 Djinn & Miskatonic are a doom metal band from Bangalore, India. Their debut album Forever in the Realm was the first Indian release by Transcending Obscurity. The album received rave reviews from around the world and further strengthened Bangalore reputation as the Doom metal capital of India. Last month, the band released their sophomore album Even Gods Must Die. The album takes forward the sonic template established on their debut album with a few surprises. I spoke to vocalist GK and bassist JP about the album, their upcoming split with US doomsters Sky Shadow Obelisk and more. Hi guys, you have been working on your sophmore album Even Gods must die for some time. How does it feel now that it has been released? gk- Feels great. Took a while for us to be happy with every aspect of the album and now we’re looking forward to everyone’s reaction to ‘even gods must die’. Early reactions have been positive so hoping people will like it. jp – It’s a massive relief. The whole project fell into a kind of limbo through a lot of 2017, with the mixing and mastering being put on hold indefinitely for various reasons. The actual tracks have been in the can since 2016. So it’s a case of massively deferred gratification. I hope people like it. I listen to it and I feel like we achieved something of what we wanted to, and I’ll always have that. The album is a natural progression from your previous album, Forever in the Realm with a fuller sound. Do tell us more about the album. gk – The album is a collection of songs we’ve worked on over the last 6-7 years. I think I Zombie is the oldest song on the album and ‘Frost and Steel’ the most recent. The album title comes from the song ‘Harvest of Kings’ which JP came up with and Dying Gods have become a recurring lyrical theme with us so it seemed apt. 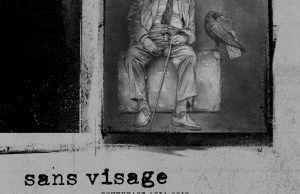 jp – I think we’re moving from a spare, primitive sludge doom sound to a more traditional doom idiom leavened with elements of sludge, stoner and even 70’s hard rock. 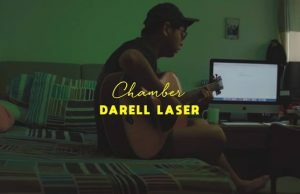 My approach to composing is pretty open ended – whatever seems to fit the mood and the song rather than any preconceived genre definition and I think on this album we’ve assembled a diverse set of songs that have a central stylistic axis but pivot from it in different directions. I, Zombie & Hangman’s Hope was a part of your early demos. How did it become a part of this album? gk – I, Zombie was one of the earliest songs we had. We were working on it when we were a 3 piece and recorded a version of it on the demo. When Sri came in, the song started to evolve and while the overall structure of the song is similar to what’s on the demo it’s gone through a few changes and additions and turned into a 15 minute endurance test. Felt like a good idea to open the album with this one. Hangman’s Hope we’ve been playing live for a long while but we never got round to recording it. Sid came up with the title and JP wrote the music. It may have been the first song we started working on after Sri joined the band. On the rare occasions that we play live, Hangman’s Hope closes our set and it was the perfect album closer for ‘Even Gods Must Die’. jp – I, Zombie was the 3rd ever Djinn song and Hangman’s Hope was the 5th. Our first album was pretty short, we left off a lot of material but we got to record and release it this time around. There’s still an unreleased song from these sessions, Mortal Science, which was also on our early demos. We’re waiting for a good opportunity to release it, but it wouldn’t have fit physically on this album. Has the addition of guitarist Mushaf Nazeer to the band had an impact on your songwriting? gk – Oh yeah definitely. It’s given us a lot more freedom in the guitar department. By the time Mushaf joined the band we’d finished recording for the album so he could only play a solo or two on this one. He’s made a huge difference to our live sound and you can hear more of him on our upcoming split with Sky Shadow Obelisk which should be out in March 2018.
jp – Yes. He has a more textural approach compared to Sriram’s more architectural approach. There’s a lot of common ground but just enough contrast to bring a new dimension to the sound. also, both Mushaf and Sriram are now writing solos to compete with each other so possibly we’ll even let them record a few more next time! Live, we sound heavier than we ever have before. 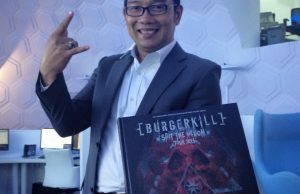 On the album, you have also included keyboards on “Doombringer”. Did you try anything different in the songwriting and recording this time around? gk – JP got an old friend of his Raveen Pandey from the band Chronic Blues Circus to come in and play the organ on Doombringer and it’s added an extra dimension to the song. Also, Raveen is pretty fabulous at what he does so that helped. For me personally I tried out a lot more singing this time around. Sri recorded most of the album using a baritone guitar. We’re not averse to trying out new things and I guess it’s a part of growing as a band so it’s something that’ll hopefully always happen. jp – I don’t want to make a series of albums that are carbon copies of each other. so yes, this album has new songs like Frost And Steel, Doombringer and Bones Of My Brothers that explore different aspects of the doom spectrum. I’d love to use more keyboards, strings and choirs at some point but not at the cost of losing the heaviness. A lot of metal bands incorporate that stuff and start sounding like a Swiss cheese ad. I want to do it the way Celtic Frost could bring in all sorts of elements on Into The Pandemonium and still sound raw and evil. What are your thoughts on the current state of doom metal? gk – Just in the last year, across the doom spectrum and all the various sub-sub genres, from Loss’s Horizonless, to Primitive Man’s Caustic, to Pagan Altar’s The Room of Shadows, to Spectral Lore’s Eroded Corridors of Unbeing, the state of doom is as good as it’s been. jp – In life condemned, in doom transcend! What have you been listening to lately (metal and non-metal)? Are there any acts that have inspired you of late? gk – Mostly been spinning 80’s thrash which is my go to genre in metal. Trouble’s Simple Mind Condition and Ice T’s’ Home Invasion have been in regular rotation the last couple of weeks. Eric Wagner from Trouble is always inspiring. It would be ridiculous to try to sound like him but his vocal melodies are just so unique and memorable that it’s something to strive for. What are your plans for 2018? Do you have any shows planned? gk – We’re looking to play live to promote the album. To the people reading this, if you’re planning a gig anywhere in the country and you’re interested please get in touch via our facebook page. We’ve also just finished recording 2 brand new songs for an upcoming split with Sky Shadow Obelisk from Portland which should be out in March ’18. jp – I also want to write, record and release our 3rd album before 2018 is over. Make up for the long hiatus. Thanks for answering all the questions. Do you have any final words? gk – Check out our music here https://djinnandmiskatonic.bandcamp.com/ and buy the CD if you like what you hear. Thanks a lot for the support Peter. You’ve been around from the start and it’s much appreciated. Cheers! jp – I do but you’ll have to wait until I’m on my deathbed to hear them. Just kidding. It’s ‘kismet, Hardy’. 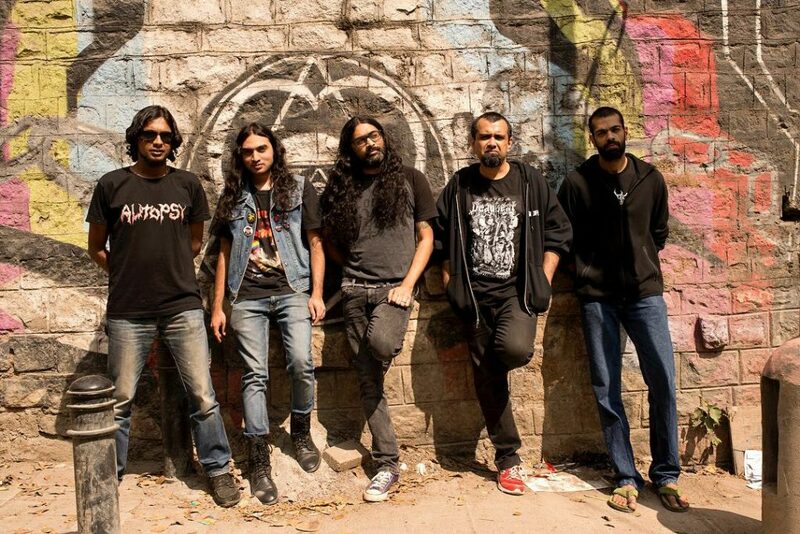 India’s premier doom metal band Djinn and Miskatonic return with a mammoth album of dire tunes and bloody tales. 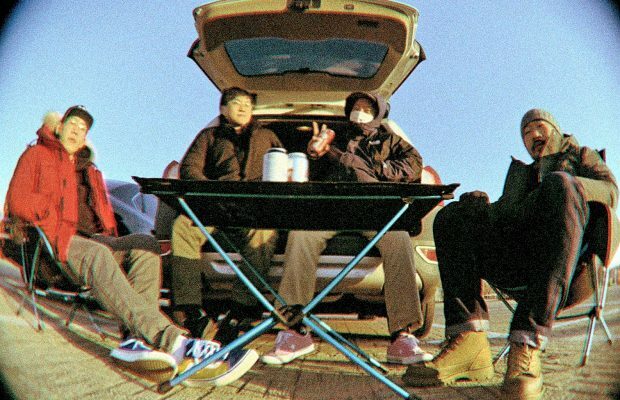 Following up on their massively successful debut in ‘Forever in the Realm, they’ve taken things up several notches and produced an album that will stay with you long after it’s over. “Even Gods Must Die’ contains six sordid, gloomy and memorable songs with varying objectives and melancholia. Each of them follow a storylike trajectory and spring to life at the opportune moments. Meditative and meaningful, this is a well thought and properly executed album by Djinn and Miskatonic.